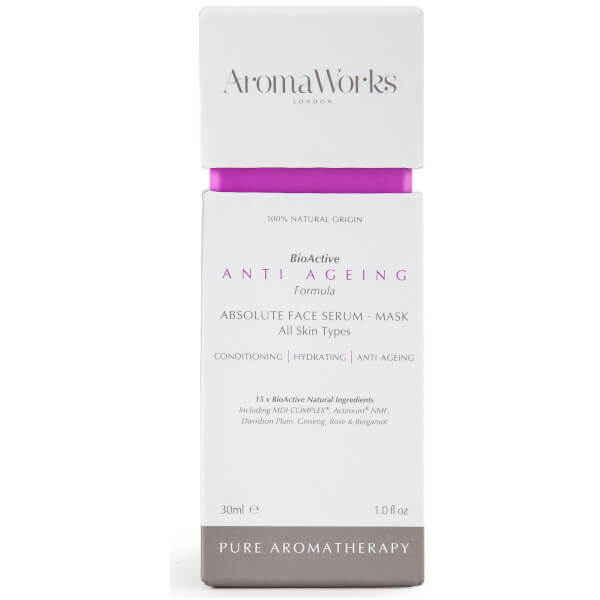 Reignite a youthful glow with the AromaWorks Absolute Face Serum; a multi-beneficial, anti-ageing formula that can be used as a rejuvenating serum or overnight face mask. 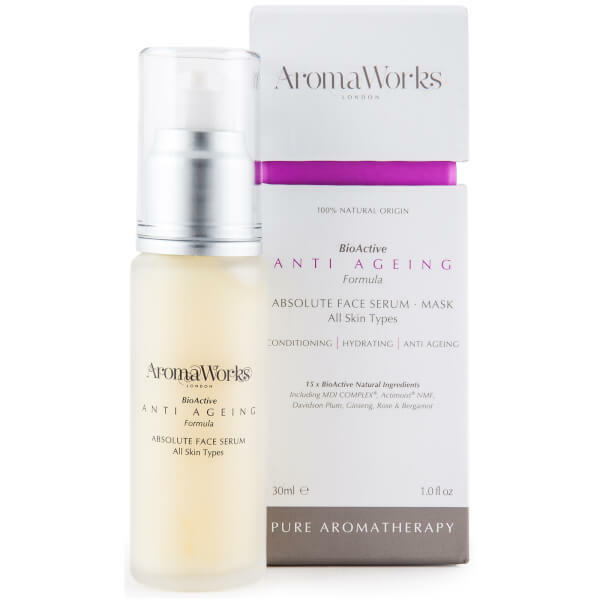 Harnessing the powers of Hyaluronic Acid, the fast-absorbing treatment delivers long-lasting hydration, whilst a nourishing blend of Arnica, Davidson Plum and Calendula Extracts work to minimise the appearance of fine lines, wrinkles and dark circles. Combining notes of juicy Bergamot with floral Rose accords, you can expect a smoother, more refined complexion with a delicately scent. Apply daily to the face and neck area to rejuvenate the skin. For a deeper treatment, use as a face mask and leave to absorb overnight. Aqua, Glycerin, Citrullus Vulgaris (Watermelon) Fruit Extract, Pyridoxine Cylic Phosphate, Sodium, Pca, Anastatica Hierochuntica Extract, Sodium Hyaluronate, Glasminoglycans, Davidsonia Pruriens Extract, Leuconostoc/Radish Root Ferment Filtrate, Arnica Mo.